This adorable tiny wall hanging is a fun way to decorate for the season, and the small size and laser-cut shapes make the project easy to complete. 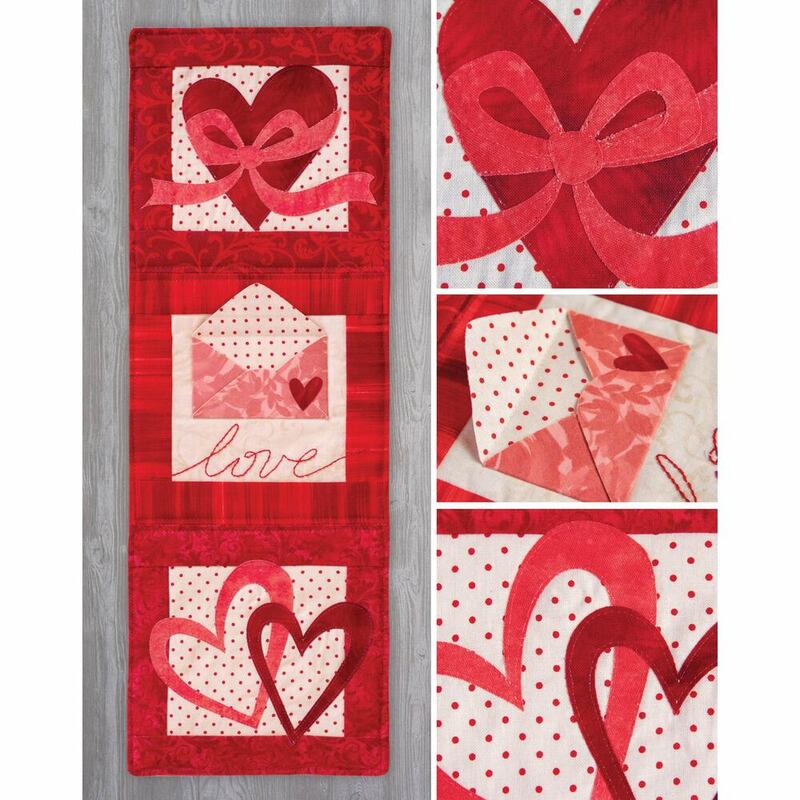 Write little love notes and put them in the dimensional envelope to celebrate love this month! 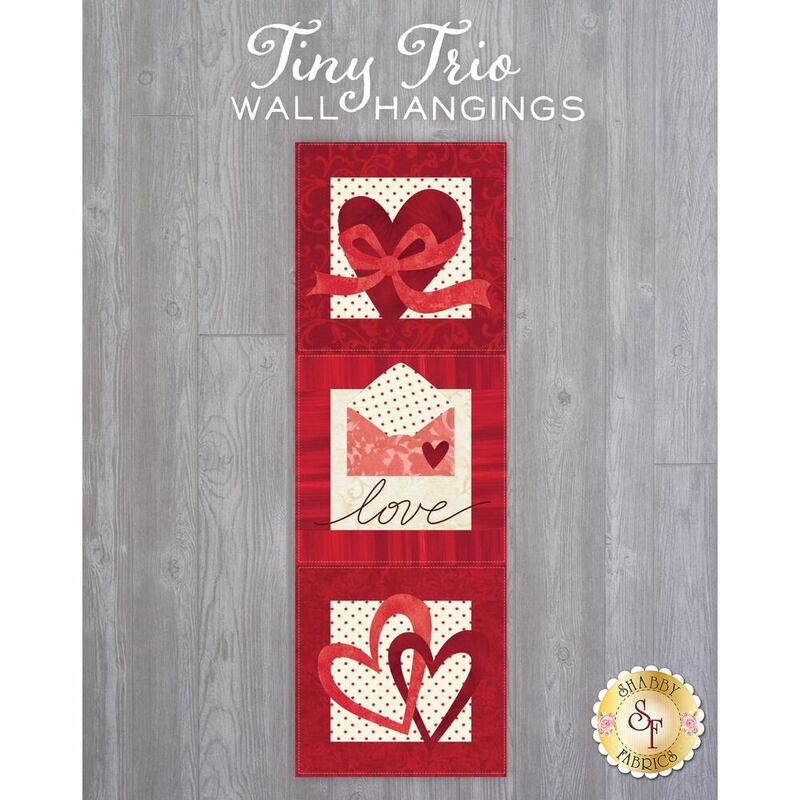 This product is for the individual kit only, however, if you love this Tiny Trio Wall Hanging, there are 11 more unique designs in our Tiny Trio Wall Hangings Club. When you join the club you'll SAVE MONEY! (A total savings of $36!). Another great benefit is you are guaranteed to get all 12 projects, and it's automatic! A new kit will be delivered to your home each month in time to make and display it for the next month! Click Here to sign up for the Club! Wall Hanging measures approximately 6" x 18". Please Note: Fusible fleece or batting used, but not included. 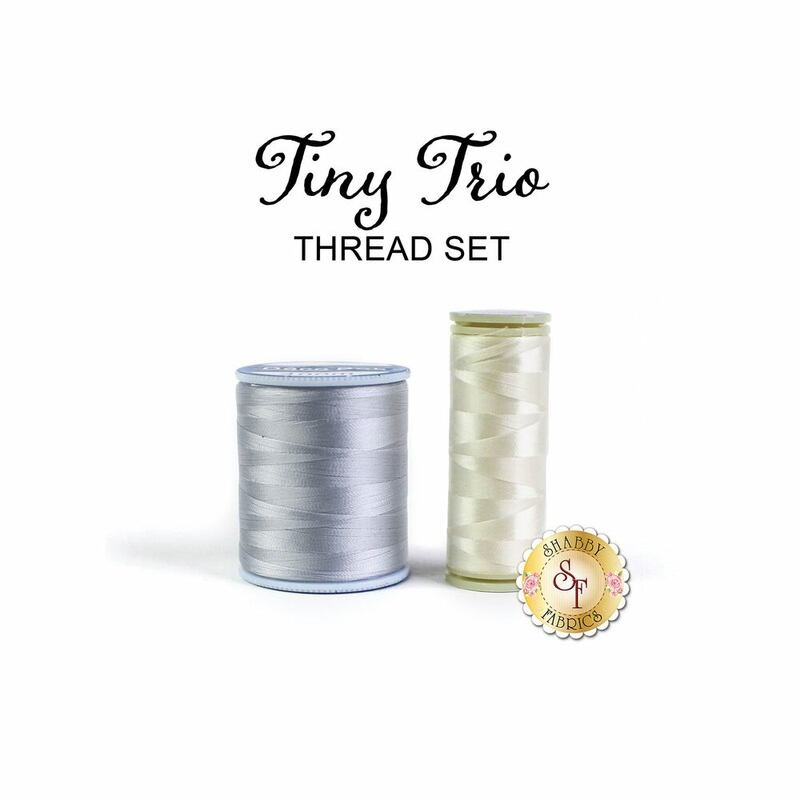 2pc Tiny Trio Wall Hangings Thread Set - Carefully selected and color coordinated Sulky Cotton thread to stitch down your laser appliqué pieces. Craft Holder - Heart - 6"